Michael Schumacher is “fighting for his life” after the ski accident in the French Alps, his doctors say. The F1 champion remains in a critical condition in hospital in Grenoble with head injuries suffered on Sunday morning at the resort of Meribel. Michael Schumacher underwent surgery on arrival at the University Hospital in Grenoble. “All we can do is wait,” the doctors added. Prof. Jean-Francois Payen told reporters that if Michael Schumacher had not been wearing a protective helmet “he wouldn’t be here now”. 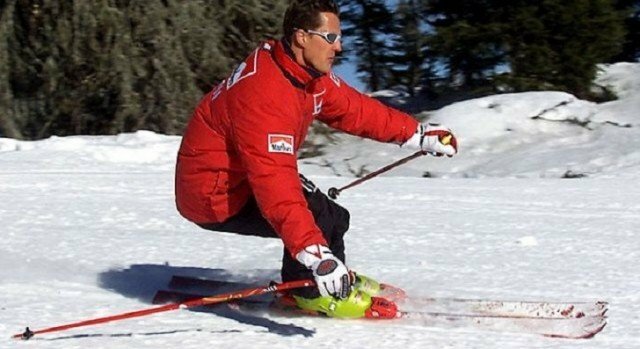 Neurosurgeon Stephan Chabardes said that a post-operative scan had shown “diffuse haemorrhagic lesions” on both sides of Schumacher’s brain. Following the accident, Michael Schumacher was evacuated to the hospital in the nearby town of Moutiers. Prof. Stephan Chabardes said the driver was in an “agitated condition” on arrival in Moutiers and his neurological condition “deteriorated rapidly”. Michael Schumacher is being kept in a coma at a low temperature to facilitate his recovery, Prof. Jean-Francois Payen said. The medical team said that Michael Schumacher’s relative youth and the fact that he was operated on without delay count in his favor.